the most comfortable beds and pillows we had this year on our travels. appartamento perfetto pulito tutto funzionale e spazioso ed in ottima posizione tranquilla, con parcheggio in loco, dista a circa 500 mt dalla spiaggia in meno di 10 minuti a piedi due passi fanno più che bene, dopo tutto quel che si mangia in vacanza lo consiglio vivamente. Moc pěkný čistý apartmán s výhledem na hory nedaleko od pláže. Nové vybavení pokojů i koupelny. Pohodlná terasa s příjemným posezením a nádherným výhledem na hory. Super lokacija, lep, prostoren in čist apartma v lepi in mirni soseski. Dovolj prostora in opreme za udobno bivanje. Agenti ustrežljivi in prijazni, prav tako celotno mesto. Zelo priporočamo tudi za invalide (imamo hčer na inv.vozičku in zanjo ni bilo ovir). Appartamento nuovo, comodo e sopratutto molto pulito, disponibilità di parcheggio in loco, tranquillità del posto, spiaggia e centro paese facilmente raggiungibili a piedi, proprietario molto gentile. Wszystko było super. Za tą cenę fantastyczne warunki dla rodziny. Duży apartament w pełni wyposażony i czysty z dużym balkonem. Do morza jest 5-10 min spacerkiem z dziećmi. Parking wygodny. Plaża śliczna, acz zatłoczona. Właściel załatwił mi kable uruchamiające samochód jak go zostawiłem na światłach i akumulator zdechł. Bardzo przyjaźni ludzie. Polecam! Bolo super. Novy apartman, utulny, cisty, moderne zariadenie. Na chorvatske ubytovania nadstandard. 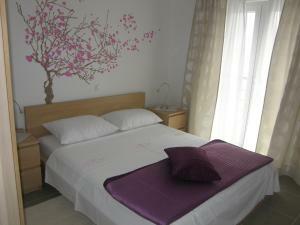 Lock in a great price for Apartments Hrabrić – rated 9 by recent guests! Apartments Hrabrić This rating is a reflection of how the property compares to the industry standard when it comes to price, facilities and services available. It's based on a self-evaluation by the property. Use this rating to help choose your stay! Located 1,800 feet away from a pebbly beach in Baška, Apartments Hrabrić provides air-conditioned accommodations. The property is 1,300 feet away from St. Marc Church. All the apartments offer free WiFi access. Each apartment here provides a seating area with a sofa and satellite TV, as well as an equipped kitchenette with a dining area and a fridge. The private bathrooms are fitted with a shower. 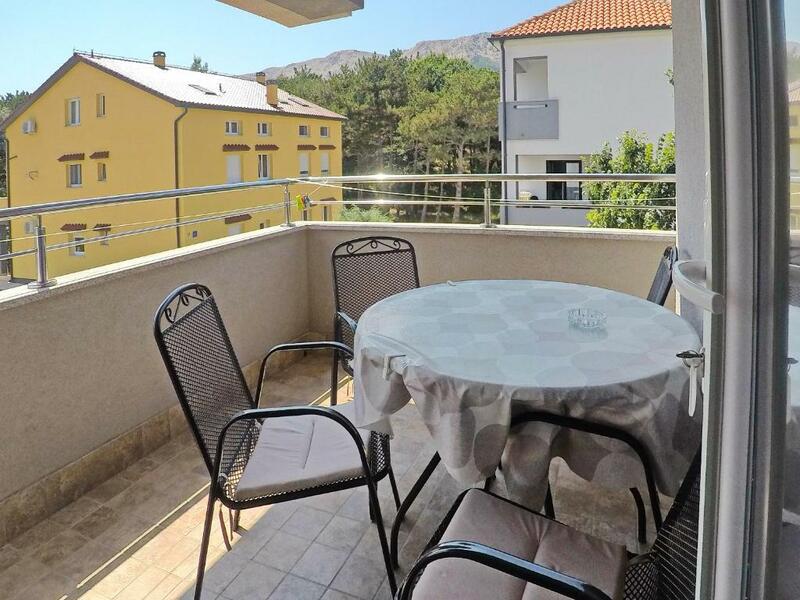 Apartments Hrabrić are 10-minute walk away from grocery shops, café bars and the Baška seaside promenade, where restaurants serving Mediterranean cuisine can be found. Free private parking is provided on site. The town of Krk, with its Frankopan Castle, is 12 mi away from the property. Rijeka Airport is located at a distance of 25 mi. This property is also rated for the best value in Baška! Guests are getting more for their money when compared to other properties in this city. 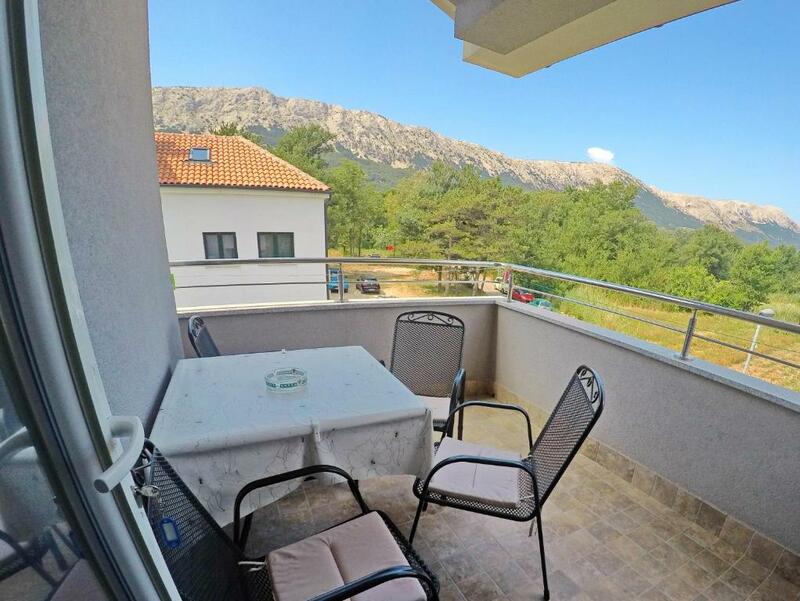 뀐 Located in the top-rated area in Baška, this property has an excellent location score of 8.4! When would you like to stay at Apartments Hrabrić? This air-conditioned apartment provides a furnished terrace and a seating area with a sofa and satellite TV. It comes with an equipped kitchenette and a fridge. The private bathroom is fitted with a shower. This air-conditioned apartment provides a furnished balcony and a seating area with a sofa and satellite TV. It comes with an equipped kitchenette and a fridge. The private bathroom is fitted with a shower. House Rules Apartments Hrabrić takes special requests – add in the next step! Free! One child from 0 to 2 years stays free of charge when using existing beds. weather, but is just dumb luck.